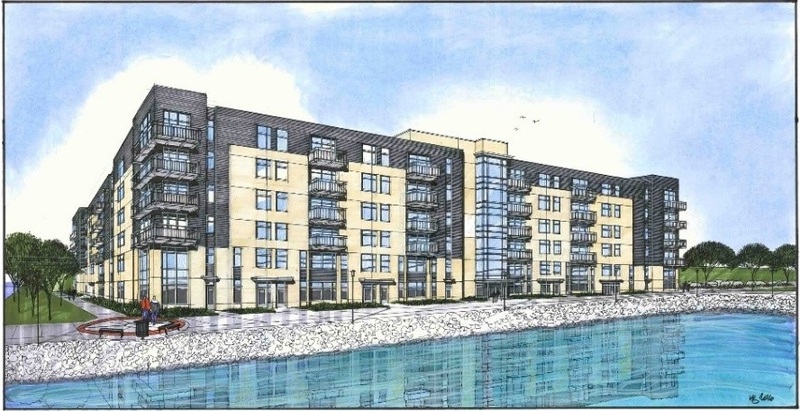 Walker & Dunlop, Inc. (NYSE: WD) announced today that it structured a $15,509,300 loan for Manseau Flats, a 78-unit, Class A multifamily development located along the western bank of the Fox River in Ashwaubenon, Wisconsin. Bedford Development (“Bedford,” or the “Developer”) will utilize cutting-edge construction techniques and the project will qualify for the National Green Building Standard (NGBS) designation. Senior Vice President, Brandon Strong, and Managing Director, Chris Rumul, led the Walker & Dunlop team in arranging the new construction loan via the United States Department of Housing and Urban Development (HUD) 221(d)(4) program. The 40-year, fixed-rate loan includes a two-year construction term and provides both construction and permanent financing. The team was able to achieve favorable interest rates for the Developer by implementing HUD’s Green mortgage insurance premium (“MIP”) reduction program. The Riverfront/Broadway District surrounding the property has undergone a vast revitalization in conjunction with the Titletown District redevelopment immediately west of Lambeau Field. Boasting several new restaurants, breweries, retail shops, hotels, and entertainment options, including Lambeau Field, the home of the Green Bay Packers, both areas are now up-and-coming urban neighborhoods that appeal to young professionals and baby boomers alike. Despite this renewed interest in downtown Ashwaubenon, the most recent developments in the Green Bay area have been peripheral, and the metropolitan area has experienced minimal new multifamily construction. Manseau Flats will therefore enjoy little direct competition and fill a much-needed void of newly constructed units in an area with aging stock. Once complete, Manseau Flats will comprise a six-story, 78-unit apartment community offering one- and two-bedroom floorplans. Situated on two acres of land and with quick access to the local bike path, an adjacent marina, and several major thoroughfares, the property enjoys an ideal location. Community amenities will include a fitness center, elevator service, on-site storage, underground parking, and surface parking for visitors. The units will feature upscale finishes such as a full stainless-steel appliance package, granite countertops, quality custom-made solid wood cabinetry, expansive windows, and 10-foot ceilings.